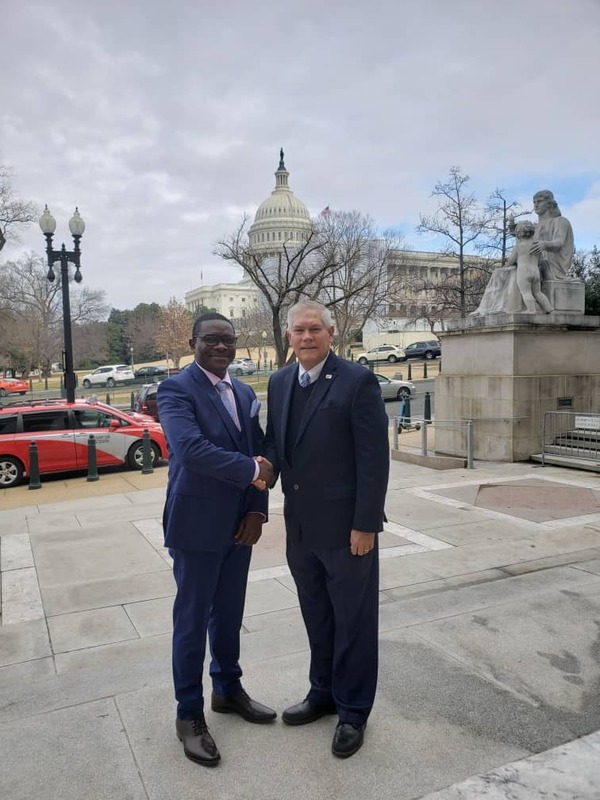 Jack Pemba, the CEO Pemba Group of Companies Thursday met with investors interested in doing business in Uganda. The meeting took place in Washington DC Senate. Among these; is Peter Anderson Sessions, an American Republican Politician from Texas former Congress Man from Texas, Chairman Of House of Rules Committee, Former Chairman house of National Republican Congressional Committee. 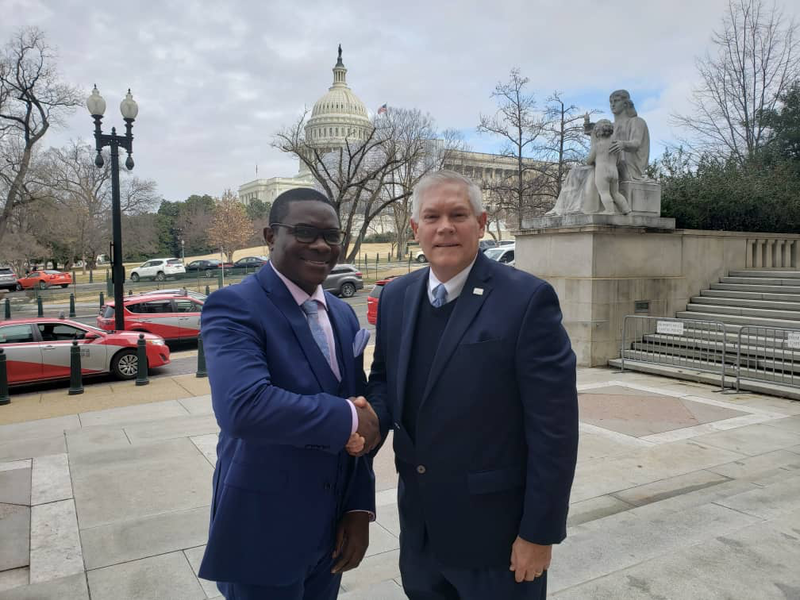 Mr Pemba (L) shakes hands with Peter Anderson Sessions, an American politician from Texas who served in the U.S. House of Representatives for 11 terms, soon after the important meeting at Washington DC Senate in USA. Mr Theodore Scott Yoho, US Representative for Florida’s 3rd Congressional District and Politican Kim Jin Pyo of the Democratic Party of Korea and a Member of the National Assembly of the Republic of Korea, Chairman Korea National Economic Advisory Council, Chairman Korea National Assembly Prayer Breakfast, Chairman President Moon JAE-IN’S Transition Committee. 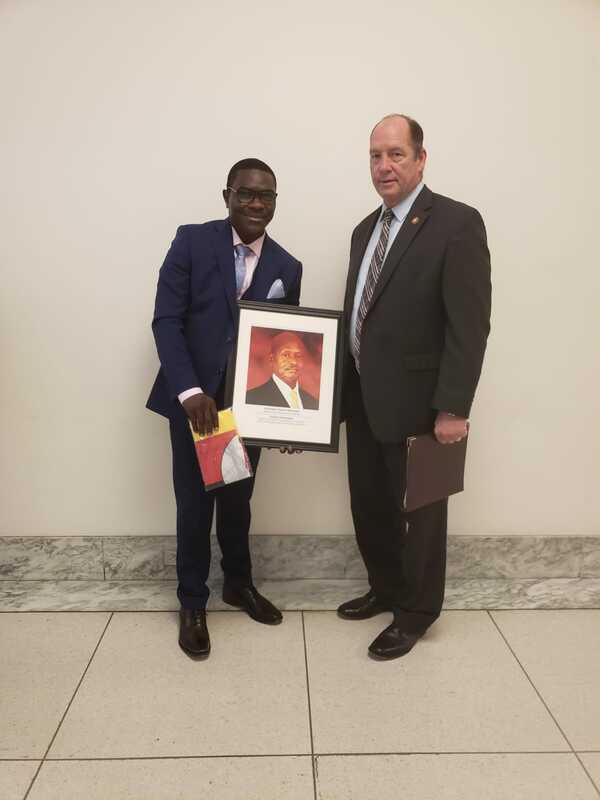 Mr Pemba sealed his meeting with the high calibre personalities by handing over a Ugandan flag and President Museveni portrait to Mr Theodore Scott Yoho (R), a US Representative for Florida T.C. 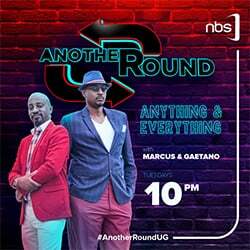 The prospective investors have picked interest in Uganda being one of the leading Investment Opportunity countries in Africa at the moment in Agriculture, Health and Mining, Housing Projects, Petroleum sector, Tourism among others. Preaching Prosperity. 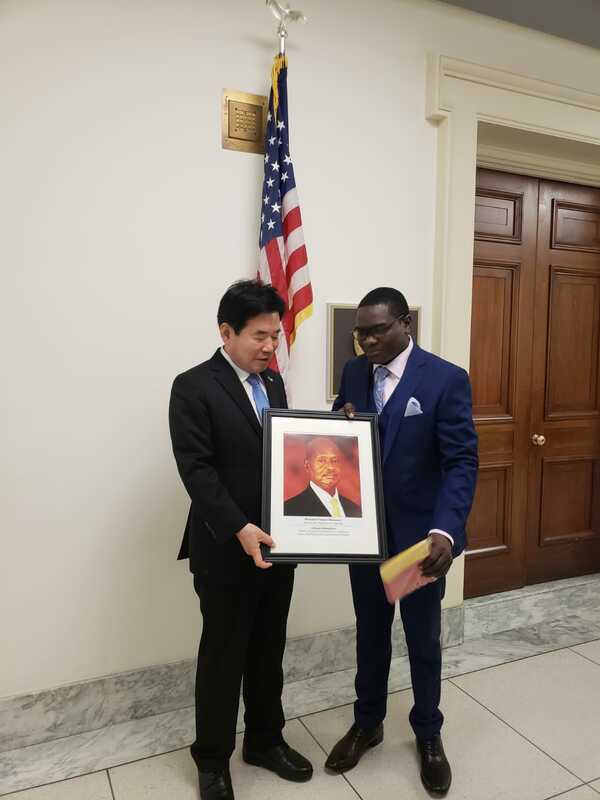 Pemba (R) hands a Museveni portrait to Kim Jin Pyo of Korea Democratic Party and a Member of the National Assembly of the Republic of Korea. Mr Pemba explained to them the beauty of investing in Uganda and gave them his positive experience he himself has attained. 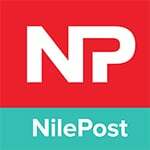 As a result, they are planning to pay an official visit to the country on the invitation of Mr. Pemba. They were highly impressed by the conducive investment environment and encouraged by Mr. Pemba who told them about the peace and security of Uganda under President Museveni.